occupy Irish lands after the Norman invasion of 1170. In this work, the Wall family — originally of Anglo-Norman stock — is traced from a fief in Normandy through England and South Wales to Ireland. One of the first knightly families to occupy Irish lands after the Norman invasion of 1170, their history is followed, generation by generation, through the succeeding eight centuries. Hubert Gallwey’s interest in Irish genealogy was of long standing, and began (as in most cases) with research into his own ancestors. However, it was not until his retirement from the army that he was able to devote himself fully to genealogy. His main interest was in Hiberno-Norman and Old English families, and the material he collected on one of these formed the basis for his only book, The Wall Family in Ireland, 1170-1970. Purchase the book here. "I was very pleased to learn that you proposed to publish a second edition of Hubert Gallwey's "The Wall Family in Ireland". 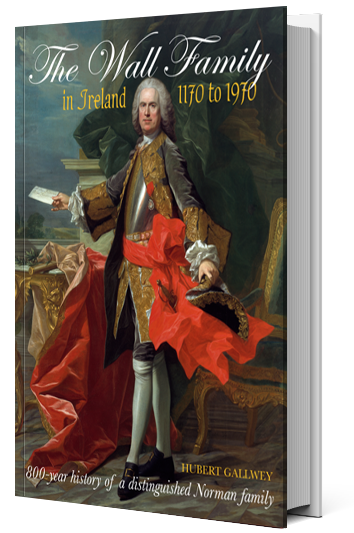 The work is a comprehensive account of the various branches of the Wall family from the time they came to Ireland in the late twelfth century to the closing years of the last century. I commend this scholarly work to all those many thousands of descendants of the Wall Family worldwide. 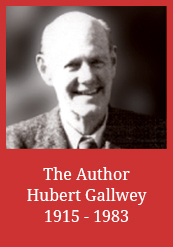 I would like to wish you every success with your proposal to publish the second edition of Hubert Gallwey's book and I look forward to seeing the work in print again." "... the most thorough piece of genealogical investigation to be carried out upon a knightly family with an Irish background and is the result of several years of research." 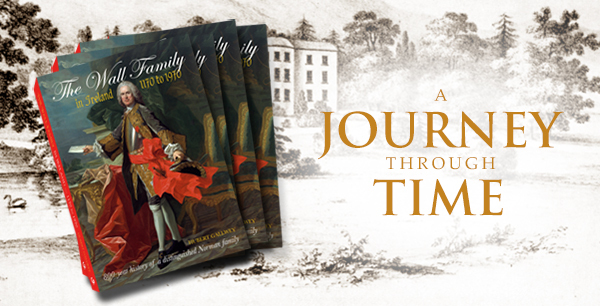 "... a long and diligent study of primary source material that tells in detail the fascinating story of this family." " ... the result of long and thorough research, presented in a systematic and readable form."